Kate Drumgoole, New Jersey native, loved her job. She worked for Paramus Catholic High School as a guidance counselor and women’s basketball coach. She also loves her wife, a fact the school was unaware of until recently. Upon learning of Ms. Drumgoole’s marriage, the school fired her. Ms. Drumgoole has since filed an employment discrimination lawsuit against Paramus. Employers are forbidden from taking adverse employment action, such as firing an employee, based on a protected class like gender, race, or national origin. Sexual orientation, while not considered a protected class in every state, is a recognized protected class in New Jersey and has been considered a protected class by the Equal Employment Opportunity Commission for several years now. However, Paramus argues that they are protected by their First Amendment freedom of religion in firing Ms. Drumgoole for not living according to the tenets of their faith. 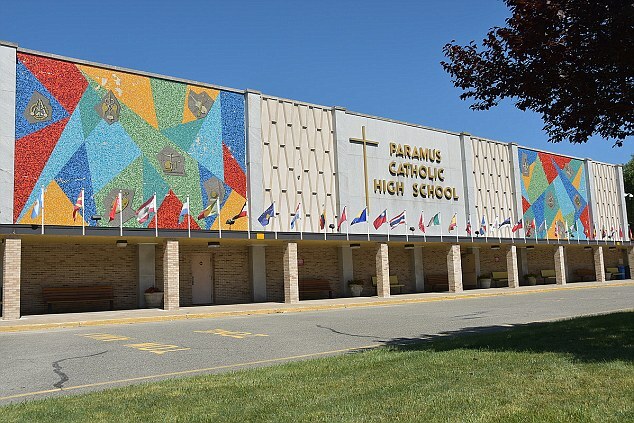 In her lawsuit, Ms. Drumgoole contests this allegation, pointing out that Paramus employs faculty members who are divorced or violate other Catholic tenets. Ms. Drumgoole is not alone; more than 50 people have been fired or had employment offers rescinded by religious institutions for similar reasons since 2010. An Indiana Catholic School recently fired a teacher of purely secular topics after it came to her attention she used in vitro fertilization to become pregnant—calling her a “grave immoral sinner.” An Ohio woman was fired by a religious institution earlier this year over being artificially inseminated. In Florida, a woman was fired for becoming pregnant outside of marriage. Discrimination based on pregnancy is well established as gender discrimination, a federally protected class throughout the U.S. So how can religious institutions make employment decisions based on such clearly discriminatory reasons without fear of lawsuits such as Mrs. Drumgoole’s? The answer lies in the interplay between employment rights and freedom of religion—the ministerial exception. To preserve the separation of church and state, as well as the free exercise of religion, employment law has a carve out for religious institutions, allowing them to favor those who share their beliefs. The Ministerial exception is so named because the employees who typically embody this carve out are church minsters. The exception is an affirmative defense—it must be proved by a religious employer seeking its refuge—which has historically been interpreted to allow discrimination on the basis of religion, but not as a loophole to any neutrally applied valid law. It specifically wasn’t generally considered an exception to non-religious discrimination. This changed with the 2012 Supreme Court case which first recognized the ministerial exception—Hossana-Tabor Evangelical Lutheran Church v. EEOC. The case was brought by Cheryl Perich, an ordained teacher at a Hossana who went on disability leave after she was diagnosed with narcolepsy. After six months leave, Hosanna asked Ms. Perich to resign. Ms. Perich refused and threatened a lawsuit for violation of the American’s With Disabilities Act which requires employers to make reasonable accommodations for employee’s with disabilities and forbids discrimination based on an employee’s disability. Hosanna fired Perich, explicitly over her disability. Perich sued. Unfortunately for her, the Supreme Court unanimously came out in favor of a particularly strong version of the ministerial exception. They ruled that employees who have a role in conveying the Church’s message and carrying out its mission” are barred by the First Amendment from suing over employment discrimination. This broad protection meant that religious institutions are totally insulated from discrimination lawsuits so long as the person suing them counts as a “minister.” This left the question, who qualifies as a minister. Perich was ordained, but spent only a small portion of her time teaching anything that had to do with religion. However, the Court certainly felt she qualified as a minister. Unfortunately, the Court was also intentionally sparse on exactly why. They wanted to avoid a clearly delineated test for fear of excluding religions with different traditions. They did make it clear that the portion of time spent with religious duties is a factor, but not a deciding one on its own. However, as an ordained minister in both Hosanna and her own eyes, the Court felt there was little doubt Perich was a minister. After Hosanna, many have questioned the breadth of the ministerial exception. The exception has seen some abuse. Catholic schools adding “minister” to every employee’s job description from teachers to receptionists to janitors. Religious institutions often supplement this argument by making all employees sign a contract agreeing to uphold the tenets of their faith. The flip side to this potential is the sanctity of church and state. Should a religious institution be legally forced to employ somebody who conflicts with their beliefs? As an extreme example, a synagogue shouldn’t have to employ a Holocaust denier. The happy medium likely extends the exception more narrowly, to people whose positions implicate primarily religious duties. As it stands, the ministerial exception is extremely broad. The current state of the law bars ministers from bringing any employment discrimination or retaliation against a religious employer, regardless of whether the discrimination is related to religious tenets. As mentioned above, this clarification is a tricky prospect to say the least due to the differences between religions. The truth is, since Hosanna the courts have done more to expand the exception than limit it. There are some courts, such as this year’s Fratello v. Roman Catholic Archdiocese of New York, which have applied Hosanna as a balancing factor test looking at whether 1) the school held the employee out to the world as a minister, (2) the employee’s title connoted a religious “calling,” (3) the employee held themselves out as a minister and (4) the employee had religious responsibilities. However, prior to this case the vast majority of courts have given much more deference to the religious organization’s categorization of an employee. The cases discussed in the beginning of this article all deal with employees with completely or primarily non-secular duties. Cases like Ms. Drumgoole’s, pitting protected groups and employment discrimination against the ministerial exception, will help winnow down the exception and assist courts in understanding when a religious institution is properly due the protections of the First Amendment. Generally, the Constitution provides rights to protect yourself—not assert those rights as a license to discriminate or diminish the rights of others.